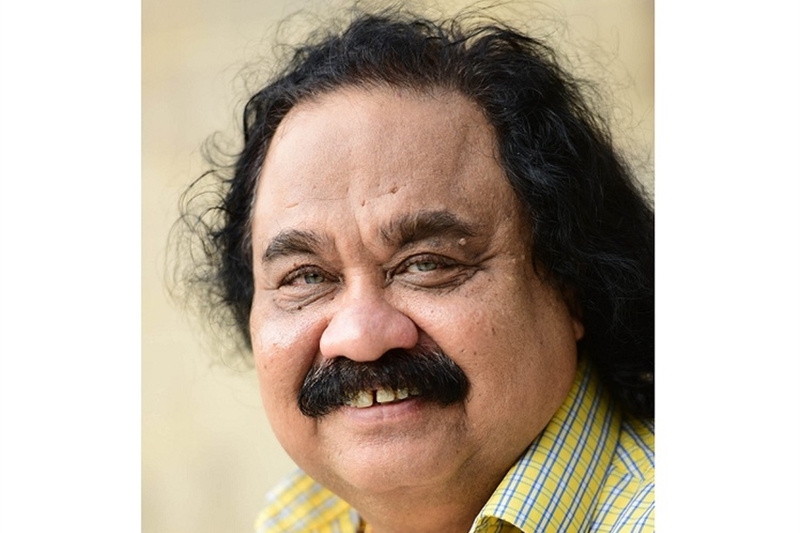 I first met him at the STREAM digital conference of GroupM in 2014 in Jaipur. He was just another ordinary looking boy, perhaps in his early to mid 20s, and did not quite fit in with the corporate crowd gathered at the hotel venue. We got chatting. He evaded my question on which company he was from. So I asked him what do you do. He again did not directly answer the question. Just said, “I am Gabbbar Singh,” and said nothing more. I think he expected me to know who he was. I was in no mood to play games. So I said to him that the only Gabbar Singh I knew was from the movies and he did not quite resemble the burly Amjad Khan for sure. He laughed again. “Sir, mine is one of the most famous Twitter handles in India. Most people at this conference would know me, or at least know of me.” I took the put-me-down as gracefully as I could. We shook hands. “I am not on Twitter,” I said to him, somewhat lamely. He gave me the kind of look that says ‘why are you then at a digital conference?’ but remained engaged in conversation with me which now turned to the weather and to the mouth watering cuisine that was being served. Meet Gabbbar Singh (@GabbbarSingh), spelt with triple ‘b’, Abhishek Asthana in real life, and one of the most followed Twitter influencers in India. As per Kenfolios, Gabbbar had 238k+ followers, till a couple of years ago, and can move mountains in 140 characters with his satire and sarcasm. On the flight back to Mumbai from Jaipur, Gabbbar was sitting next to me on the plane. He said he was an engineer and an MBA, and had worked at Freecharge and Pidilite but is now full time on Twitter. “You make a living out of sending tweets?” I asked him incredulously. He was a bit bashful. We did not discuss it any further. The conversation moved on. When I told him I was launching my new book, ‘KONJO - The Fighting Spirit’, he offered to tweet about it. I said thanks. He eventually put out two, perhaps three, very complimentary tweets about my book. My nephew who is in the media business told me the favor was worth Rs. 1 lakh per tweet! I have not kept in touch with Gabbbar. I am still not on Twitter. And I do not follow Gabbbar. But Gabbbar has grown from strength to strength. He now has 1.26 million followers in tweepledom! My nephew, who is a Gabbbar fan and follower, tells me Asthana is now full time in the employ of Reckitt Benckiser where he is a Brand Manager on Durex. I don’t know whether that means that the condom brand needs his skills 24*7 or that with more and more influencers in the social media space, Gabbbar’s influence is worth lesser than the Rs. 1 lakh per tweet my nephew had valued him at 3-4 years ago. Whatever be the truth, social media influencers are becoming powerful by the day. They are being invited to far off (and exotic) conferences on digital and social media and millenials and even on Ted. Some enlightened brands are swarming to them to gain endorsement and support. Kunal Shah, Gabbbar’s former boss at Freecharge has 83.8k followers and is a name to reckon with on social media besides being a digital evangelist. Apoorv Sood, a BITS Pilani engineer who uses the handle @Trendulkar has just a notch less than 1 million followers on Twitter at 987k. His satires are said to be biting and incisive. Hence, his popularity. Pune based Srinivas Rao (@Etard0) too tweets satire and humour. His gains? 33.1k followers. @RoflIndian is Dr. Sudipto Chakravarty, a medico in real life. He has Big B amongst his 194k followers who admire this ‘amateur humorist, blogger, medic who loves to click, cook and travel’ as per his cyber-bio. Our very own Raj Nayak, CEO of Colors TV and the big man at Viacom18 is a huge mover-shaker of the world of Twitter. He has an amazing following of 545k for his @rajcheerfull handle where he holds forth on a million different topics of contemporary interest. Nayak is profound. And prolific. I sometimes wonder how he finds the time to run a big television network, and yet tweet so many interesting shorties. @Ghaatidancer is Mumbai girl Anisha Sharma. She is a known activist and her efforts have got her 20.5k followers on Twitter. Neeraj @khabarbaazi Badhwar is a Hindi journalist who is followed by 87k twitterati for his bold satirical takes on daily happenings and events. Vivek Tejuja’s @Vivekisms have made him famous enough to attract 23.4k followers on Twitter. I am told Tejuja has his own franchise for the 55-word stories he writes when he has time from his full time job at Flipkart. Last but not the least there is Pankaj Sinha @AskthePankazzzz who is a full time design specialist at Pininfarina but whose ravings and rantings on Twitter have got 40.4k followers. 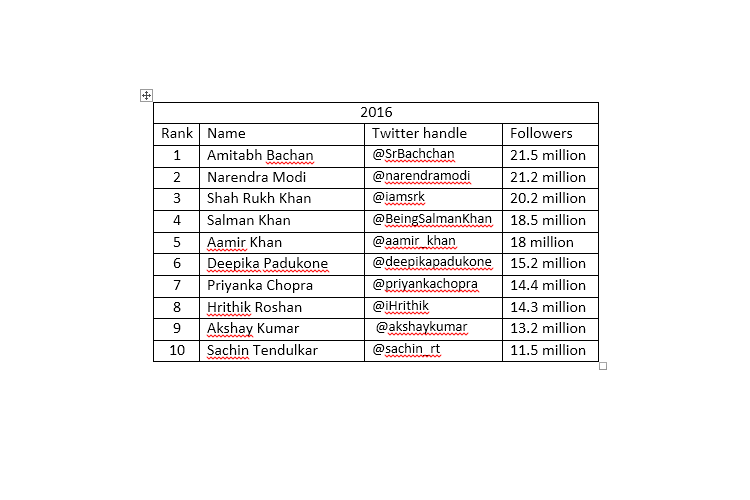 The big hitters on Twitter (Trump being King of the Ring globally at 47.2 million) from India, far far above these day-to-day influencers are public figures, most notably Prime Minister Narendra Modi who over took Amitabh Bachchan at the top of the list last year. 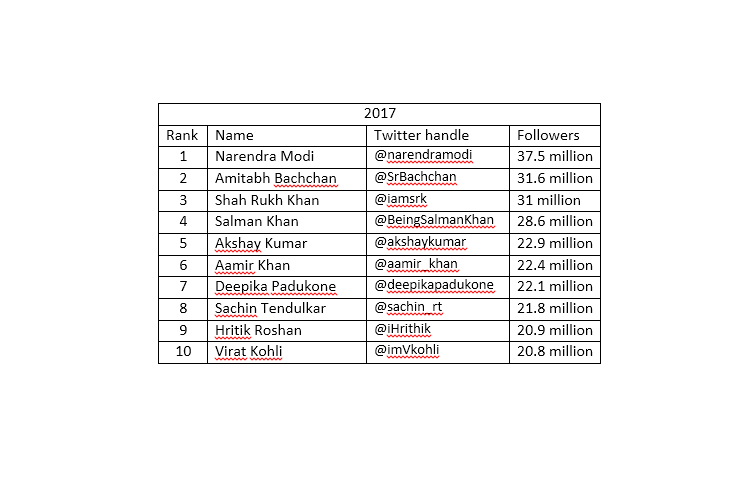 Virat Kohli, commensurate to his growing stature as Indian cricket captain, is also now in the Top 10 in the world of Indian Twitter. The moot question remains whether brand managers and ad agencies have quite woken up to the power of the influencers that rule Twitter today. I don’t know how many more copies my book KONJO sold as a result of support from Gabbbar Singh, but one thing is for sure that many amongst my daughter’s friends asked for autographed copies because they had seen mention on Gabbbar’s tweets. Normally, no form of PR or media I would have used to promote my book would have reached audiences of the age and profile that my daughter represents. It also surprises me that there are no agents, no real agencies that are channelising and monetising the power of these influencers. They can be reached but most of them are self-represented and don’t really have any real bridges to the world of brands. I think there needs to be more potent connect. More real time interaction. Better peddling of influence.